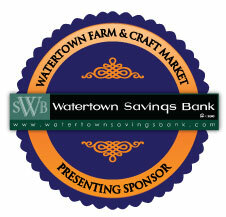 Watertown Savings Bank is committed to our community and committed to our customers. We will strive for excellence as an outstanding provider of financial services to promote thrift, home ownership, small business, employment and economic growth to ultimately benefit the residents of Jefferson County. Watertown Savings Bank is a full service local bank that has been serving the financial needs of Jefferson County and the North Country since 1893. We offer deposit and loan products for all your financial needs from checking, savings, CD's and IRA's to automobile, personal, business and mortgage loans. We have 9 locations throughout Jefferson County. Our main office is located at 111 Clinton Street in Watertown and is open from 8:30 am-4:00 pm Monday thru Wednesday and 8:30 am-6:00 pm Thursday and Friday with Saturday hours from 9:00 am-12:00 pm Drive thru only (140 Clinton Street).